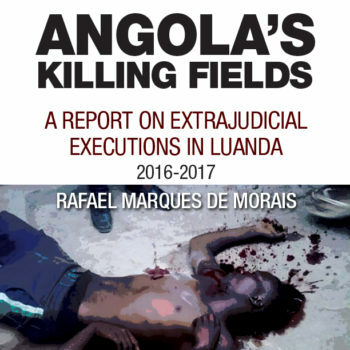 When the United States warns of the risks of handing control of Angola’s banks to politically exposed people (i.e. President José Eduardo dos Santos, his family members, and the Generals who back him), this is not an idle warning. It’s because the USA know the President is planning to transfer control over the BFA (Banco de Fomento Angola) to his daughter, Isabel, and that once he does so, the Presidential group’s control over almost the entire Angolan banking system will be in place. How so? According to African Business Magazine’s list of Africa’s Top 100 Banks in 2015, the five largest banks in Angola were: Banco Económico (BE – Economic Bank), Banco Angolano de Investimentos (BAI – Angolan Investment Bank), Banco de Poupança e Crédito (The Savings and Credit Bank), Banco de Fomento de Angola (BFA – Development Bank of Angola) and Banco BIC (BIC – The International Credit Bank). Between them they control nearly five billion dollars of capital. Nearly half (40 percent) of the stock of Banco Económico is owned by Sonangol (now run by the President’s daughter, Isabel dos Santos). General Leopoldino Fragoso do Nascimento, one of the President’s closest advisers and the frontman his businesses, and Isabel dos Santos are also connected to Grupo GENI, which owns a further 19.9 percent of BE stock. Public records further show that in addition to Isabel and Leopoldino, António Van-Duném (former Secretary of the Council of Ministers) and Manuel Augusto Fonseca (former member of the Sonangol legal team) are also part of Grupo GENI. Additionally linked to the group is the notorious arms trade dealer Pierre Falcone. With more than half BE’s voting stock in the hands of the President’s daughter and her associates, it is safe to say that the former Portuguese Banco de Espírito Santo (BES) is now controlled by Politically Exposed Persons. 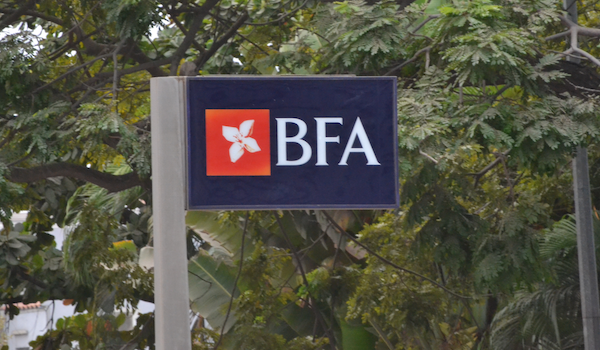 Another of Angola’s top five banks is the Angolan Investment Bank, the BAI. Once again, Isabel dos Santos’s Sonangol appears as a shareholder with 8.5 percent of the stock. Other Politically Exposed Persons hold a further 41.5 percent of the BAI stock – they include Vice-President Manuel Vicente (the former Chair of the Sonangol Board), the president of the National Assembly Fernando da Piedade dos Santos ‘Nandó’, the current Defence Minister João Lourenço, and the former MPLA Vice-President Roberto de Almeida. Meanwhile the BPC is a state-owned bank, which allows Isabel’s father, the President, to exert direct control. A takeover move for 51.9 percent of the BFA by UNITEL (principal shareholders Isabel dos Santos with 25 percent and Sonangol with 25 percent) was agreed on October 7, 2016, which puts the President’s daughter in majority control of yet another bank. Grupo GENI is also involved. That brings us to the BIC. And Isabel dos Santos is also in control of this bank with 42.5 percent of the shares (at least). Summing up: of the five largest banks in Angola in 2015, one is state-owned, three are directly or indirectly controlled by Isabel dos Santos and Sonangol and the fifth, the BFA, will join them imminently. This is the ‘risky’ situation that has so concerned the United States. It demands close scrutiny. Allowing politically exposed persons, in particular the President’s daughter, to take control of what amount to the most significant banks in the country’s banking system, is equivalent to handing her the keys to the nation’s entire savings. It gives Isabel dos Santos the ability to call on all the national savings deposits in these banks. This is not to suggest that she can empty the coffers and simply leg it to Dubai. But it means, for example, that their capital (the savings of their fellow Angolans) can be diverted into bailing out the companies with which Isabel is associated. Imagine the potential domino effect: as people deposit their monies into banks controlled by Isabel dos Santos, so the banks lend that money to companies controlled by Isabel dos Santos. Then if those companies miss their interest payments or simply fail to repay, the banks could go bust and ordinary Angolans could lose all their savings. Hence the red flags. Meanwhile Sonangol’s financial woes are in the public domain and the oil giant’s problems could also prove contagious to those banks in which it is a majority shareholder. On the one hand Sonangol could try to lever itself out of trouble by forcing the banks it controls to shore it up, causing a drought of money to loan elsewhere in the financial markets. This is what economists call “concentration risk”, when loans are not evenly distributed. On the other hand, if Sonangol fails, so would the banks. Another example: let’s suppose that revenues from the sale of Angolan oil are no longer sufficient to cover the expenses of the Angolan State Budget. Under normal circumstances, the solution would be to issue government debt bonds in the hope that these would be snapped up by investors, thus generating funds to meet the shortfall in the state finances. However, data published by the Angolan government indicates that the State issues debt bonds in Kwanzas, with an annual interest rate of close to 20 percent. This means that for every 100 Kwanzas invested, it has to pay back 120 Kwanzas. Does that seem like good business sense? In practice, no, not at all. Because those same government statistics indicate inflation is running at approximately 40 percent. This means that what you could acquire a year ago for 100 kwanzas will cost you 140 kwanzas today. Thus, anyone who invests 100 Kwanzas in Angolan debt, is not earning a straightforward profit of 20 percent – in fact, once inflation is factored in, they are making a 20 percent loss. Most big investors would look away. So that throws up the question of who would be willing to buy up government debt, knowing they would be making a loss. Isn’t it likely that banks controlled by Isabel dos Santos would be summoned to bail out the government? They could buy up the debt, hand over the money to the state, then lose out when it’s payback time and yet the balance sheets would not reveal the true picture. Their reports would show a 20 percent profit whereas, as we now know, they would actually be making a loss on the transaction. There is a further, political, risk. With Isabel dos Santos controlling the banking system, there can be no real transparency, good governance or accountability in the system. Any bank decision – whether it’s who gets a loan, whose loan is refinanced or called in – will be questionable. And the whole edifice is then balanced, quaveringly, on one pivot. Any major stumble by Isabel dos Santos, Sonangol or Angola’s state finances could bring down all five of the major banks. It goes without saying that the dangers of that situation are incalculable. Finally, leaving aside the big five banks mentioned above, it is worth mentioning the case of the Banco Millennium Atlântico (BMA – Atlantic Millennium Bank) which is the result of the recent merger between the Banco Millennium de Angola (Millennium Bank of Angola) and the Banco Privado Atlântico (Atlantic Private Bank). According to the published figures, the merger propels the BMA into the position of Angola’s second biggest bank in terms of loans granted. Without doubt, this adds it to the list of the country’s top banks. So who owns it? Interlagos Equity Partners SA has a 31.65 percent stake and BCP Africa SGPS has 22.52 percent (and Sonangol has a 29.9 percent stake in that). Sonangol also held a stake of 8.82 percent in the BPA. With its tentacles sunk deep into both sides of the merger, industry insiders estimate it must presently hold at least a 10 percent stake in this new bank. All of this is pointing to an even worse scenario: Angola could find itself in the grave position of having its entire banking system under the control of the politically exposed presidential cabal. It is quite likely that it’s this doomsday scenario that led the United States to issue its warning that Angola should take action to remove politically exposed persons from the banks. The likelihood of the current Angolan regime acting on the US advice is nil. It would take a nuclear bomb to separate these politicians from the financial system. Only regime-change can break them apart.